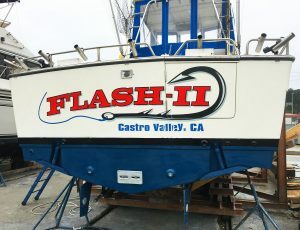 Well 3 long days of working on Flash II and she is almost ready to splash and head back to the Wharf tomorrow. All we are waiting on is the new props. 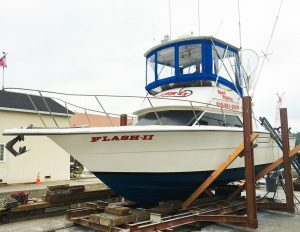 In a week or so then we will dry dock Flash I for the new engine. 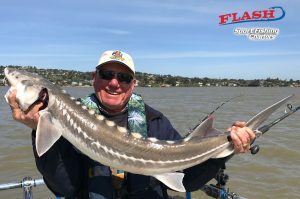 In the mean time Captain Joe is on the sturgeon. He just took out 3 fishermen on Flash I and they landed 3 sturgeon. The sturgeon bite is very good as it is this time of year. 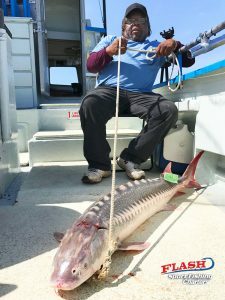 We will be fishing sturgeon for the next 2 weeks. That will be your last chance to get your sturgeon. Call me if you want a sturgeon. Enjoy the photos.